We are a full service floral boutique offering unique and custom creations as well as Charlotte County’s connection for special events. The Lazy Daisy has an impressive twenty years experience in floral, wedding and hospitality services. We are committed to excellence and aim to provide the best products and services. Lazy Daisy Flowers & Gifts is located in the downtown business district of Keysville, Va. and is known for our unique décor and unusual gift items. 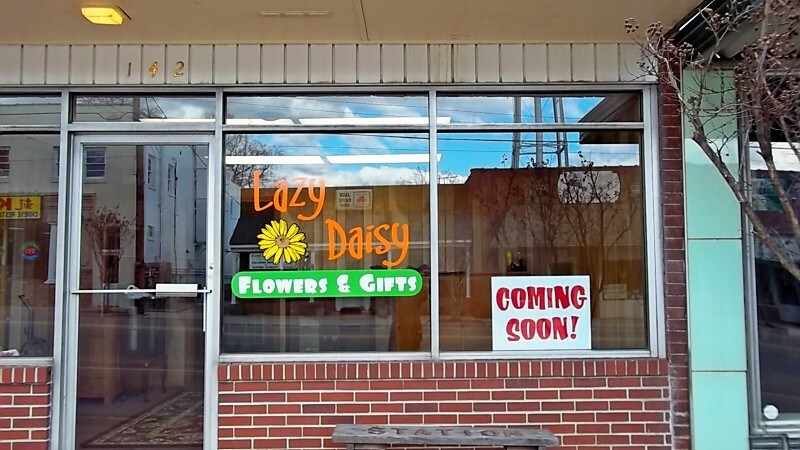 We take pride in our superb quality and customer satisfaction.The Lazy Daisy is not your typical corner flower shop. It is the answer for those seeking floral perfection but with an edgy flair. You’re the inspiration for our creations! Tell us what you have in mind and we’ll bring it to life. If you’re unsure, our experienced designers can customize anything to your liking and budget. Our biggest asset is the care we give our customers and with their continued support, we strive to be the best. Beautiful arrangements are the perfect way to express love, joy, and sympathy or just to let someone know you care. We deliver locally or out of town with the same love and care as if you were there yourself. Fresh flowers are just a part of the items we carry: balloons, plush, large assortment of candles, silk flowers, wreaths, plants and unique gift items. Our shop is a delight to all of your senses. An atmosphere of caring and concern for all occasions.